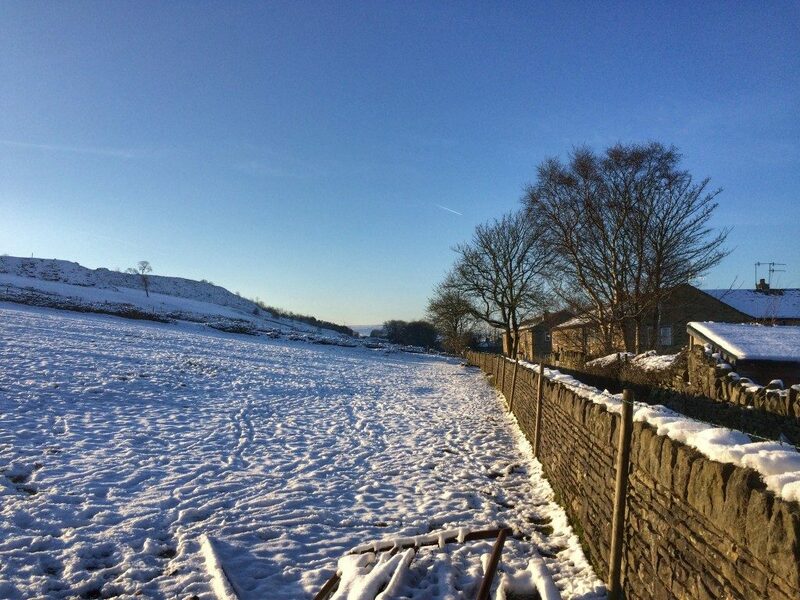 We are now into the series of Advent and many of us are gearing up for Christmas – and of course this is a time that would have excited Anne Brontë and her family too, even though the concept of Christmas in the first half of the nineteenth century is very different to the one we have today. Christmas, for good or bad, has become a commercially driven festival, but the giving of presents was done on a much smaller scale in the Brontë’s time, and the exchanging of Christmas cards was completely unheard of. We can imagine this warming sight as Christmas day dawned at the Haworth Parsonage: Emily Brontë, a highly accomplished pianist, playing a carol while Anne, who Ellen Nussey said liked to sing in a quiet yet sweet voice, sang to her family. 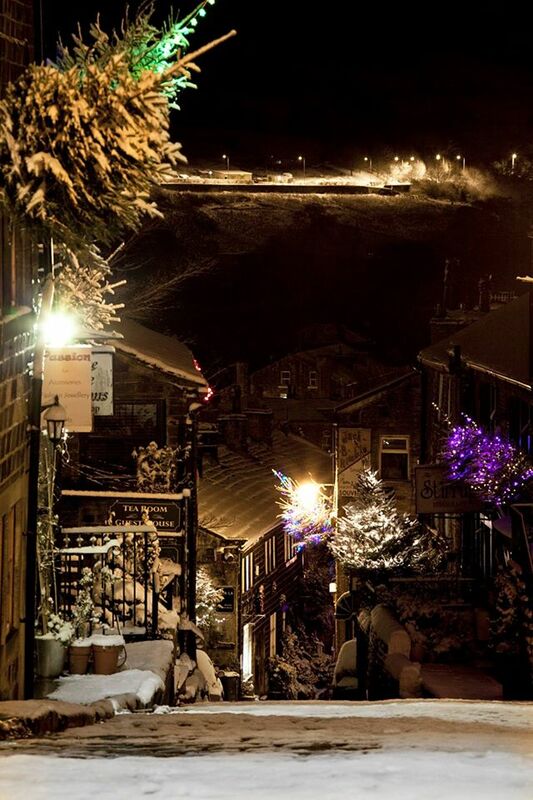 The village of Haworth also loves music at Christmas – and indeed the Advent Christmas period as a whole is one of particular joy in this beautiful moorside village. In recent decades the modern tradition of ‘scroggling the holly’ has drawn the crowds, but there is no scroggling this year – fear not, for there are lots of other exciting activities coming that are great for Brontë lovers and families alike. This weekend is ‘choral weekend’ – one the whole Brontë family would surely have enjoyed. The 9th of December is the night of the torchlight procession, a moving spectacle as folks in Victorian attire process up the steep and picturesque Main Street. 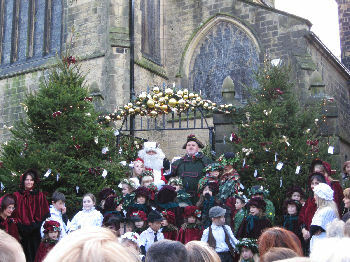 Sunday the 10th is even more spectacular, as a there is a candelit carol procession from 4.30 which culminates in a traditional carol service at St. Michael and All Angels’ Church. The following weekend is brass band music – and there really are few sounds more magical than brass bands playing the carols and songs we all love. There are a number of top quality bands playing around Haworth all weekend – and I’ll be there myself on the 17th (don’t worry I’m only listening in, not playing a tuba!). The Brontë Parsonage Museum is also particularly magical throughout December – particularly on Thursday 8th December – as there’s a chance to experience the parsonage by candlelight and then look at some of the Brontë treasures including manuscripts by Charlotte, Emily and Anne. It’s a tour I’ve done myself, and it truly is thrilling. Places are limited but you can find out more at the Brontë Society website here – where you’ll also find details of other events including Christmas wreath making workshops. It’s certainly beginning to feel a lot like Christmas here in Yorkshire, by which I mean that it’s absolutely freezing of course, but life feels good when you wrap up warm and read a Brontë book with a warm drink near to hand!